The main problem here is that there is lots of uncertainty about lots of these quantities. I didn’t see anything that seemed grossly unreasonable on the chart, and as always with uncertainty about a central estimate, things might be worse as well as better. But how hard would it be to represent that in a graphic? Also in my opinion there’s a slightly disturbing sprinkling of chartjunk that weakens the presentation, but there certainly are worse examples out there. 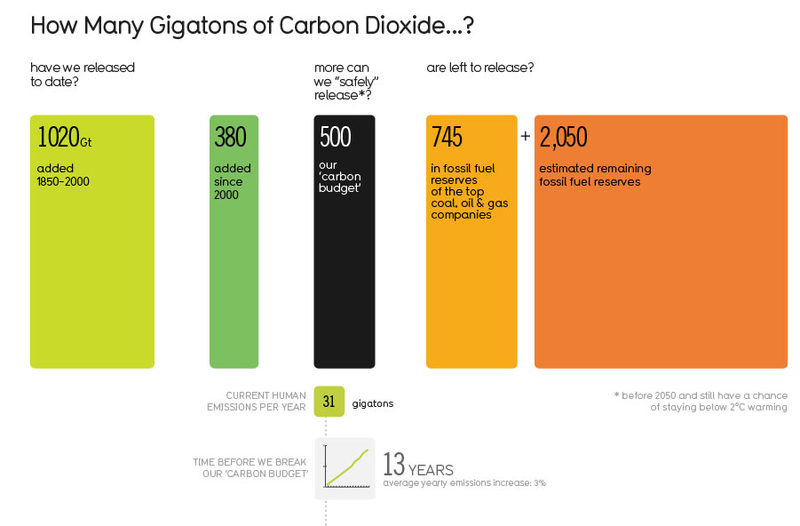 Representing uncertainty is always a challenge but I think this does a good job of representing the scale of our emissions, compared with the ‘safe’ amount of carbon we can burn and how much carbon should be left in the ground.